Even if it has a Spanish name, Playa del Mar is 100% Italian design hotel. 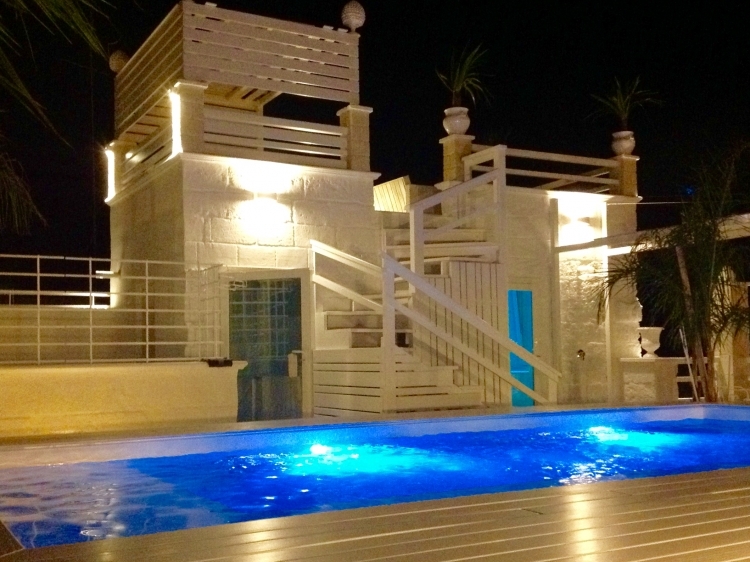 It is located in the peaceful Monopoli, a small town in the province Bari. Directly boarding to a sand beach and located near the old city centre, most sights are in walking distance. Enjoy a walk through the maritime region and let the Italian flair take you in. The next airport is in 50 km distance in Bari. Within a radius of 25 kilometres you can also visit the town Alberobello. There you can find limestone dwellings, the Trulli, which were announced to world heritage by UNESCO. In the surrounding of Playa del Mar you have the opportunity to visit plenty of sights. In 5 to 10 minutes walking distance you will find the Cathedral of Romualso Museum, the Basilica di Maria Santissima della Madia, as well as a wonderful park (“Parco Belvedere Lama”). Further afield, in 12 km distance, you will find the statue Madonna d‘ Altomare and the museum Pino Pascali. 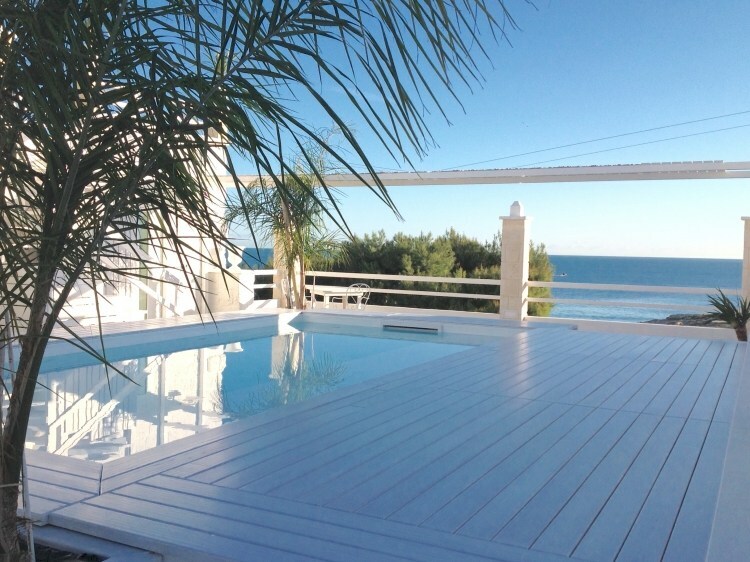 The Playa del Mar, which opened in 2016, is designed simple and in white. Owing to the proximity to the gorgeous sand beach and a golf course, the Bad and Breakfast Hotel is very well located. 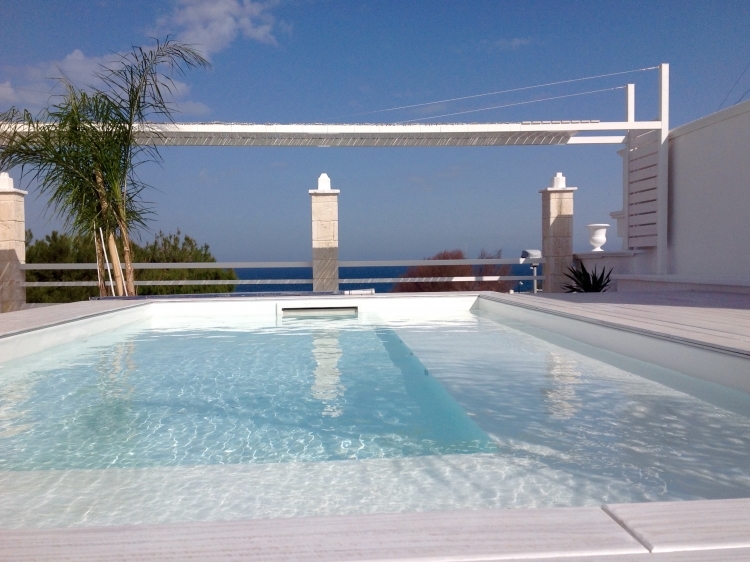 The sun terrace with its 18 m2 pool is available for all guests. In case of bed weather, the hotel is equipped with a pool and whirlpool in the interior. Moreover, the Playa del Mar offers the opportunity to rent a bicycle or car, in order to discover the surrounding. Due to the hotel and room equipment it is not advisable to go there with children. The 5 elegant suits, sized between 16 m2 and 28 m2, with own bathrooms are all equipped with extra sized bed. The combination of using nature materials, like marble floors or stone walls and the modern and romantic designed furnishings, have a very inviting and comfortable effect. In any room you can enjoy different views: on the city, the sea or the garden. The Playa del Mar offers a substantial breakfast, which contains regional products and specialities. In order to arrange your stay as good as possible, the breakfast can be served in your room or you can enjoy it on the terrace or in the breakfast hall. Staff was really nice - rooms are tidy and beautiful furnitured. Problems were not handled with care, but really unprofessional by the general manager. Overbooking was handled as normal ... general manager was not willing to a personal meeting on site. Retransfer of overpayment was not handled in time. 100'% of payment was drawn by credit card 4 months in advance even though 50% was contracted. Due to this the rating is only "good"